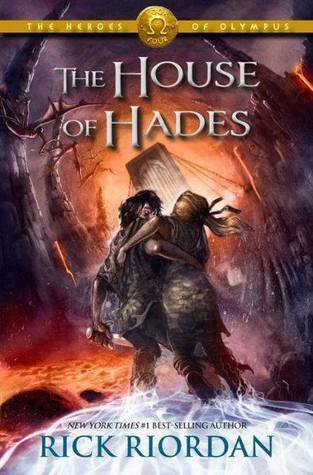 On Oct. 9, a number of excited students of mine came running up to me with their newly purchased “House of Hades” novel by Rick Riordan, asking me if I had bought mine. I hadn’t, but couldn’t help getting caught up in their excitement at the latest book in the Heroes of Olympus series. After all, I had only gotten into the series because of them. Their enthusiasm for the series and the desire to talk about the books with me is why I started reading the books in the first place. So, when I finally got around to reading the book, I remembered another reason why I greatly enjoyed the books and why I’m currently using “The Lost Hero” in my classroom. Riordan’s books are prime examples of diversity done right. Riordan has come out and said that he wrote the Percy Jackson series for his son and for ADD/ADHD kids to see a reflection of themselves in literature. While he’s never expressly stated this, based on the characters he creates, one can assume he also wants children of color to see themselves reflected in the novels as well. The Heroes of Olympus has 7 main characters, 4 of which are characters of color. Their ethnic breakdown is as follows: African-American, Hispanic/Latino, Chinese and Native American. Though technically they would be considered mixed because they are demigods, meaning one of their parents is one of the Greek/Roman gods. Even still, they are kids of colors who are the children of gods. I want to repeat that…they are kids of color who are the children of GODS! Riordan could have taken the easy way out and not included diversity at all because his characters are the children of the Greek & Roman gods – all characters that we are familiar with, but he didn’t. The novels are set in our modern, culturally diverse world and the characters are reflective of that world. If one knows their mythology, the Greek/Roman gods love to have affairs with humans, so in our diverse world it is appropriate for one to imagine that the Greek/Roman gods would have affairs with all the beautiful colors under the sun. Riordan imagined this world and I’m glad for it. This careful attention to diversity is also what makes the books so enjoyable. Children of all colors can see themselves in the pages, can imagine themselves being able to control fire like Leo, pull precious metals from earth like Hazel, shape-shift like Frank, and influence people like Piper. Children of color can see themselves as heroes, as they should. I also really enjoy his Kane Chronicles, where the two main characters, brother and sister, are biracial (black/white), and it deals with Egyptian mythology. Greek mythology completely saturates YA myth re-tellings/historicals, so stepping outside of that is a breath of fresh air; and it also means that not just the main kids, but the gods are POC. AND it allows him to bring in other mythological/storytelling traditions (Native American and Chinese–he explicitly mentions their mythology). LOVE that series. And I also like what he does in Kane Chronicles as the previous commenter noted. Another person for Kane Chronicles. Riordan’s racial diversity is one of the things I love about him, as well as his willingness to include other diversities. He’s pretty fantastic. I love the fact that characters in the Percy Jackson and the Olympians series are diverse and how the campers get along with each other. There is no racial divide and i think that is very important. Kane Chronicles and Heroes of Olympus have a balanced cast of diversity that I and other kids of ethnic backrounds can seriously relate to. THANK YOU RICK RIORDAN SO MUCH!!!!!!!!!!!!!!!!!!!!!!!!!!!!!!!!!!!!!!!!!!!!!!!! !